Are you an aspiring actor, a dedicated director, a top technician or a stunning singer? Even if you've never set foot on stage before but have ambitions in any area of performance or production, the Concept Players would love to hear from you. 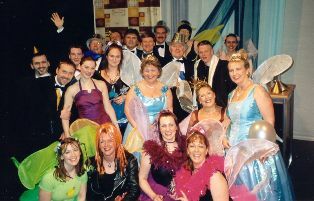 We are a friendly group who enjoy the social side of what we do as much as the smell of the greasepaint. Why wait? Contact us now or, better still, come along to our next production and have a chat with us in the bar afterwards! If your query is about our website or you wish to give feedback on the website, please click here.